Yes, as my little motto says above, I do tailor for women. It is very difficult to find a tailor for women in Sydney, but I am happy to say that my entire offering of suits, shirts, overcoats and waistcoats are also on offer for womens. The principles of tailoring apply equally well for men as well as women, and I try to cut a model pattern which is slimming, flattering and in harmony with your personality and style. My house style for mens in many ways has a feminine cut about it. This is achieved by a soft shoulder, lighter jacket and tapered cut. Many of the aspects discussed on this website translate very well for my women's tailoring. Achieving a precise fit is paramount no matter what gender you are, and by having something tailored made, we are able to achieve a fit "off-the-rack" cannot compare with. My women's cut involves a more slimmer/fitted pattern, generally shorter jackets, and other unique features. Tailoring should not only be something for men. I hope to provide choice and options for women's tailoring and a chance for you to be your own designer and individual! For women's, one of my bread and butter offerings is the business suit. Depending on your style and preference, we are able to pick a style and offering which is professional, respectable yet feminine. By exploring the world of tailoring, you are no longer limited by what the "Fashion Labels" are stocking. 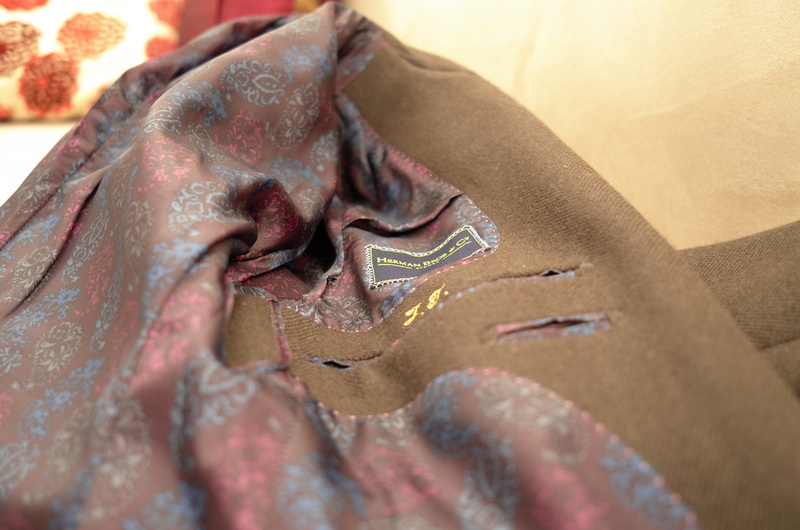 Rather you are able to pick your own colourful printed lining, or signature lapel which fits with you. One unique element is my ability to source fabrics, and I am able to source rare Chanel fabrics for my women's overcoats/jackets. They are truely beautiful and make an excellent statement piece in an overcoat or jacket. My other fabrics are also very suited for women's tailoring, due to their lightness and drape. With over 1,000 fabrics there's bound to be something in your style. For inquiries please email me at my webform below. For those inter-state or overseas, I'm also able to take appointments and measurements via Skype/Facetime, so do get in touch!